“Memories and Legacies of World War I: Commemorating the Armistice” kicks off on October 9 with the Friends of MSU Library Book Club discussion of Vera Brittain’s Testament of Youth, a classic memoir of the Great War, at 6:30 pm in the Small Community Room at the Bozeman Public Library. Brittain was deeply affected by the war – she lost the men most important to her including her only brother, her fiancé, and several of her closest male friends. She also served as a nurse in the Volunteer Aid Detachment (VAD) during the war in London, Malta, and France, suspending her life and education at Oxford. Brittain later wrote several novels and memoirs – this one covers her life from 1900-1925 and is her most well-known work. 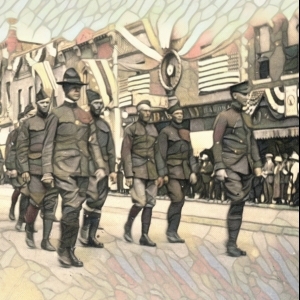 “Memories and Legacies of World War I: Commemorating the Armistice" is co-sponsored by the MSU Center for Western Lands & Peoples and the Gallatin History Museum. Additional community support provided by the MSU Library, the Bozeman Public Library, MSU Department of History and Philosophy, Bozeman High School, and the Museum of the Rockies.